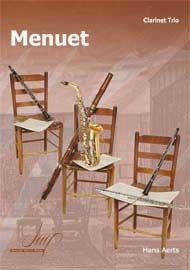 The classical clarinet repertoire revolves mainly around the works of Mozart, with his pieces such as the Clarinet Quintet in A Major, (K. 581) being one of the greatest pieces of music written in the classical era for any chamber ensemble. However, there were other composers of the classical period that wrote clarinet music, and much of this music is being made popular by clarinetists today. The classical period in music is usually referring to the years from 1730 to 1820. 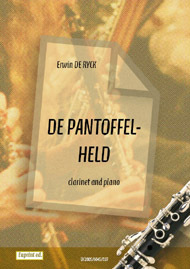 This period coincides with a period of rapid development for the clarinet, and was a time when many of the early virtuosos such as Anton Stadler were inspiring composers to write for this new instrument. Many of the greatest pieces of music for the clarinet written during this period were written by Mozart for his friend and fellow freemason Stadler, including a Concerto, Quartet and Quintet. Many other composers who wrote for the clarinet during the classical period were themselves clarinet players, often frustrated with the lack of solo music they had to play. One of the best clarinetists who was also a composer in the classical period was the Finnish composer Bernhard Henrik Crusell. While he wrote concertos for the clarinet, Crusell is probably best known for his three quartets for clarinet and strings. The clarinet parts in these compositions are not as demanding as most concertos, but the pieces were written for private performance rather than the concert hall. 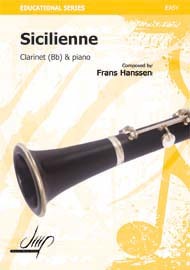 Other clarinetists of the classical era who also wrote music for the clarinet include Jacques Jules Bouffil and Heinrich Johann Georg Backofen. Their pieces, often over looked, now are becoming popular with specialists in classical chamber music.